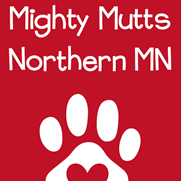 The seventh annual Mighty Mutts Beer & Wings event benefits animals across the region, and participants get to taste the region’s best wings, complemented by beer (or other beverage). Join the fun, vote for your favorites, and help animal shelters in the area care for lost, abandoned and abused pets. Only 400 tickets are sold. Tickets are available at American Bank Hibbing & Chisholm. Ticket info is here.